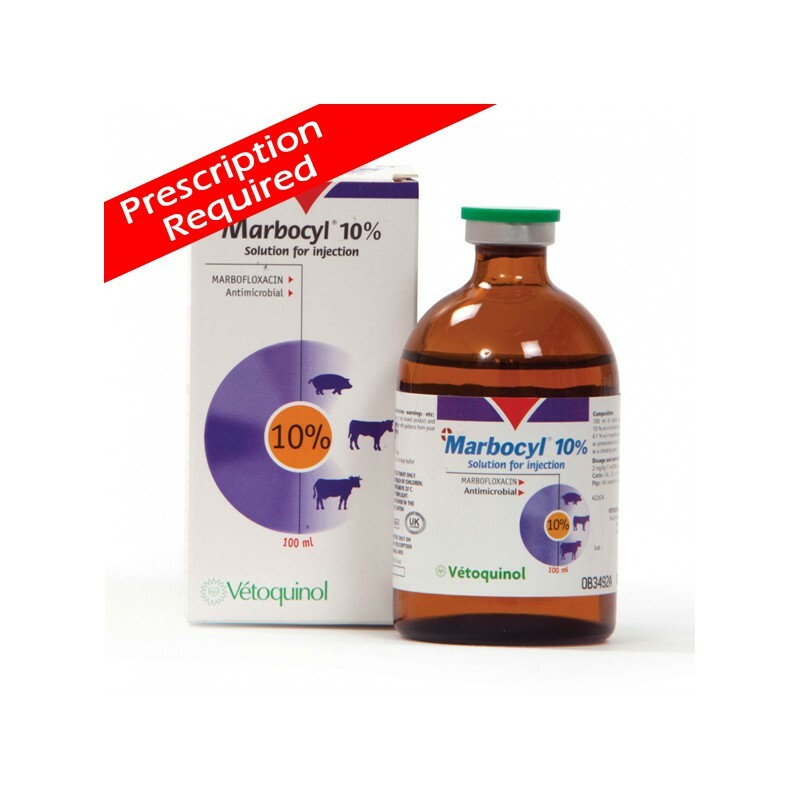 A broad-spectrum synthetic antibiotic, indicated primarily for use in respiratory infections and toxic mastitis in cattle and Metritis Mastitis Agalactia syndrome caused by susceptible strains of organisms in pigs. Official and local antimicrobial policies should be taken into account when the product is used. 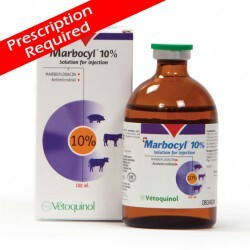 Fluoroquinolones should be reserved for the treatment of clinical conditions which have responded poorly, or are expected to respond poorly, to other classes of antimicrobials. Whenever possible, fluoroquinolones should only be used based on susceptibility testing. Use of the product deviating from the instructions given in the SPC may increase the prevelance of bacteria resistant to the fluoroquinolones and may decrease the effectiveness of treatment with other quinolones due to the potential for cross resistance.